Seven years ago Paul Oxley and Graeme Bowen set up Clear View Bi-Folding Doors Ltd with a simple mission: to become the leading provider of folding and sliding doors in Yorkshire. But their passion for the business and drive to succeed extended well beyond the beauty of Aluminium frames. It was about a desire to bring happiness to people’s lives, by transforming the spaces they live in. Today, Clear View now employ over twenty staff, have recently moved into a new 20,000 square foot, state of the art manufacturing warehouse and are just about to open their new customer showroom. 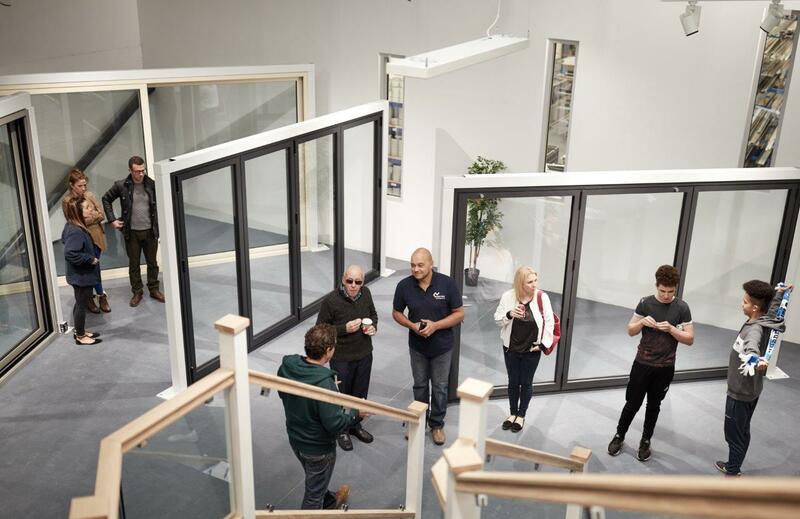 Featuring full size displays, the new showroom will house a wide variety of Bi-Folding Doors, Sliding Doors, Windows, Roofing Systems and accessories, based on a variety of configurations and profiles, featured in a range of natural and contemporary colour schemes. To celebrate the launch of their new showroom, Clear View would like to invite you to their grand open day, on Saturday the 21st of October, between 10am – 4pm. Enjoy a factory tour over coffee, watch bi-folding doors being manufactured, grab a bite to eat whilst perusing a brochure, there’s even a bouncy castle to keep the kids entertained! If you are in the process of buying a new house or looking to renovate your home, Clear View’s expert interior designers will be on hand to give you free hints, tips and advice and how to achieve that perfect show-home look. Grand Launch: Saturday the 21st of October, 10am-4pm. Unit 18 Holme Mills, West Slaithwaite Road, Slaithwaite, Huddersfield, HD7 6LS.